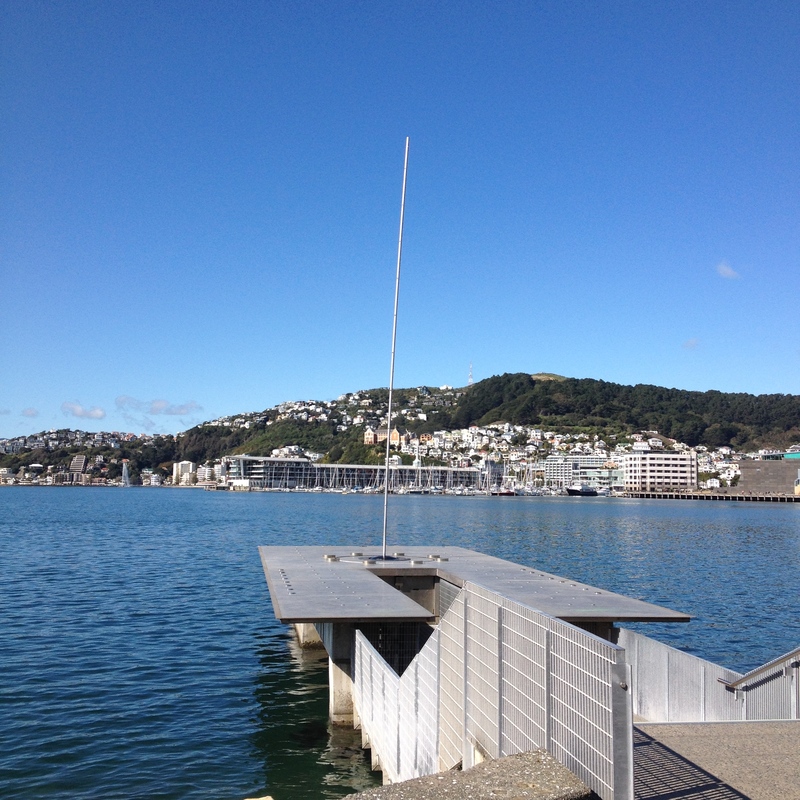 After a grey start to the week, the weather picked up, and as we know, nothing beats Wellington on a sunny day. 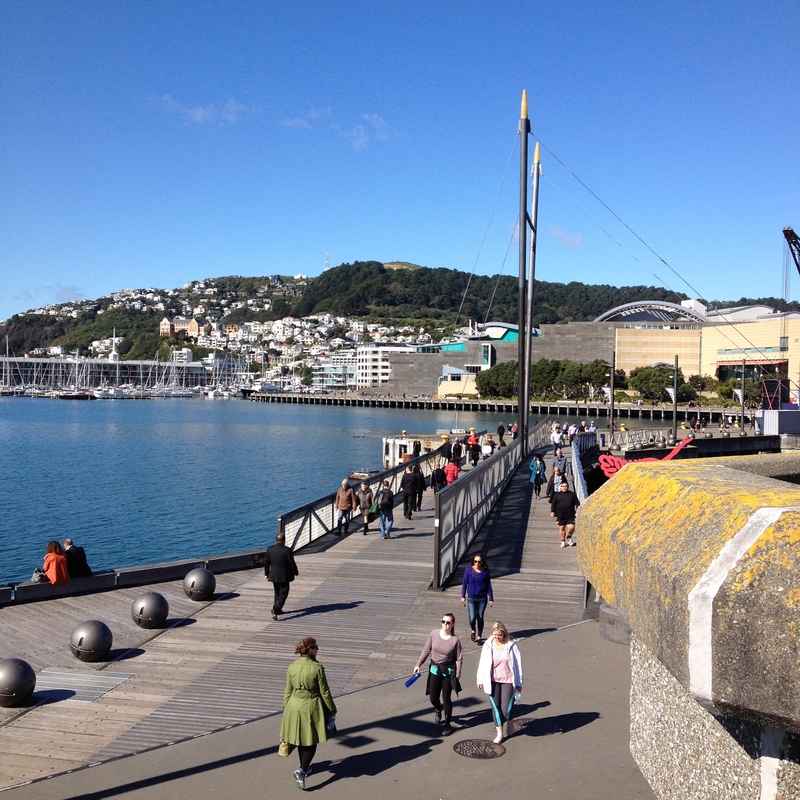 It was good to escape out at lunch time and take advantage of walks by the waterfront. It is noticeable that it has been a colder winter this year. Looking back on photos from this time both last year and particularly two years ago, the flowers in our neighbourhood are coming out just a little later. Still, Tuesday is the 1st September and the first day of spring. The Lux festival is on just now, and I fear what with one thing and another, I’m not going to get a chance to see it (though I have seen the lights in the cable car tunnels a few times). 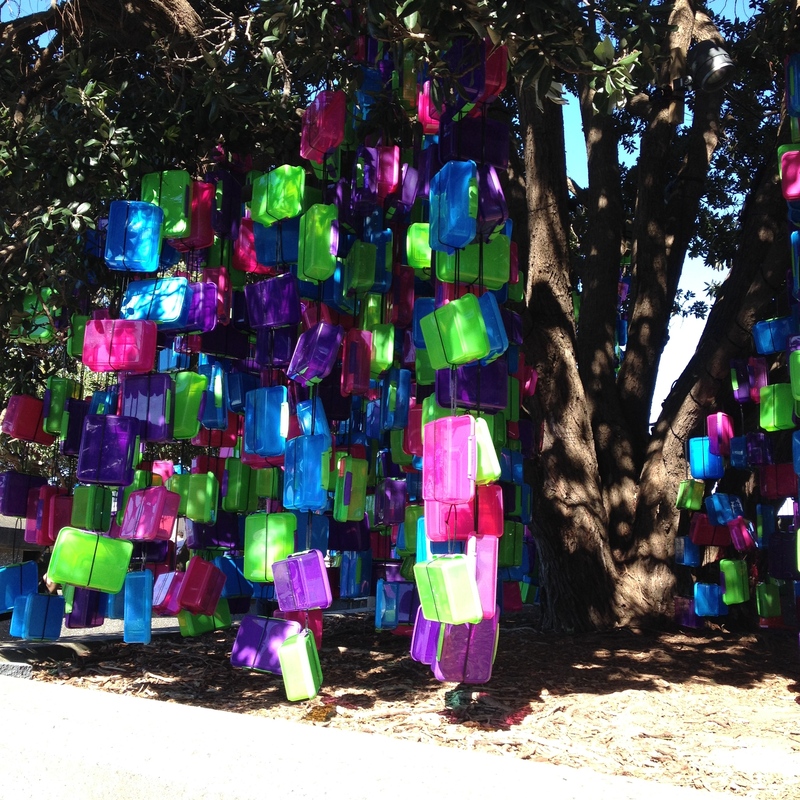 I did see a couple of installations by the waterfront which may, or may not be, part of the event. If anyone knows, please tell me! Anyway, tonight I am off to see Footnote Dance, who are celebrating their 30th anniversary, and tomorrow we are off to ‘Beer No Evil, Pie No Evil’ pie and beer tasting at The Sprig and Fern for Sunday lunch, both of which I will report on next time. Meanwhile, I actually cooked something new this week! 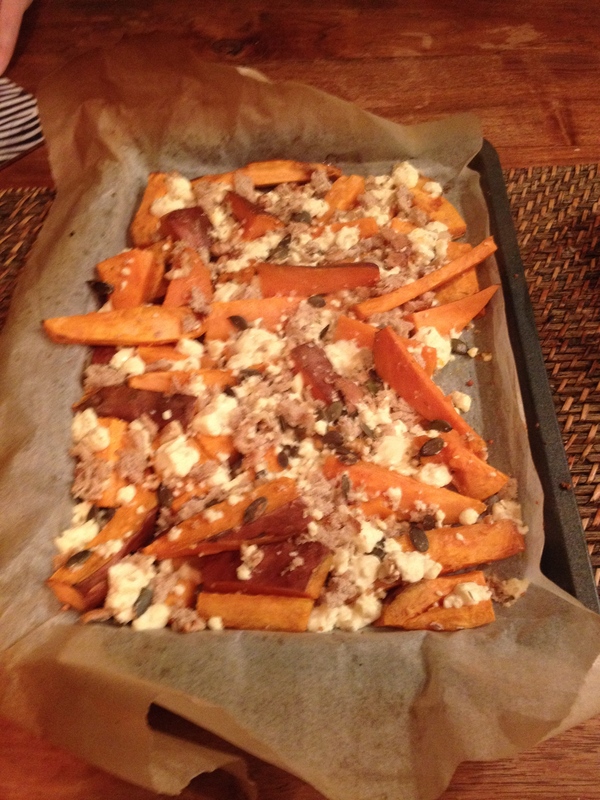 On Monday I made roasted kumara with feta, walnuts, thyme and breadcrumbs from Laura Vincent over at Hungry and Frozen. Very delicious, highly recommended and also good cold the next day for lunch. PS – it is pouring with rain as I type – just a reminder we are not out of winter yet! Nice sky color! I live in Nice (France), and my husband is always bragging about our sky color that he thinks is the nicest of all. 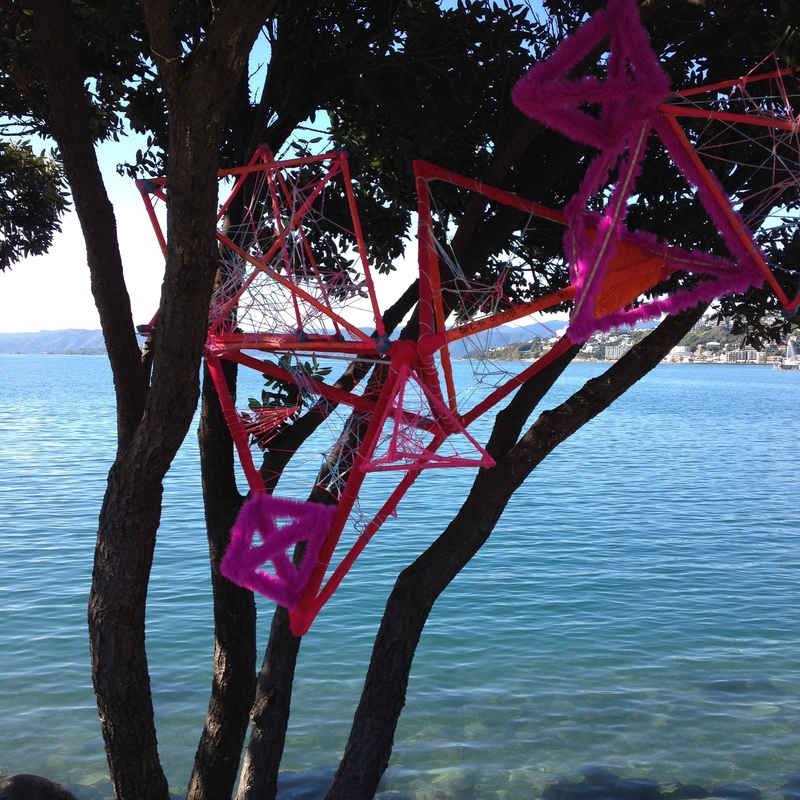 But from I can see from your winter sky color on your pictures, New Zealand is a fair competitor too! Thanks! Yes the skies here are a beautiful colour and the light so bright compared to northern Europe.